The A3C Festival took place this past weekend at the Georgia Freight Depot, in Atlanta, Georgia. The massive hip-hop event featured Wu-Tang Clan and Lil Wayne as headliners, with a long list of star talent behind them on the catalog. Wayne’s Tha Carter V just earned the top spot on Billboard, so concertgoers were ready to celebrate Weezy’s victory. Wayne took to the stage and performed only a handful of songs before his set was cut short. Accounts of what ended Wayne’s set are unclear. An HNHH editor was present and corroborates reports that screams were heard in the crowd and Wayne was ushered off stage by his security immediately. Crowds began to stampede in fear, with some claiming there were gunshots and others blaming the madness on fights. The stampeding crowd was able to break through metal security barriers while authorities called for an evacuation. What initially caused the madness is still in question. 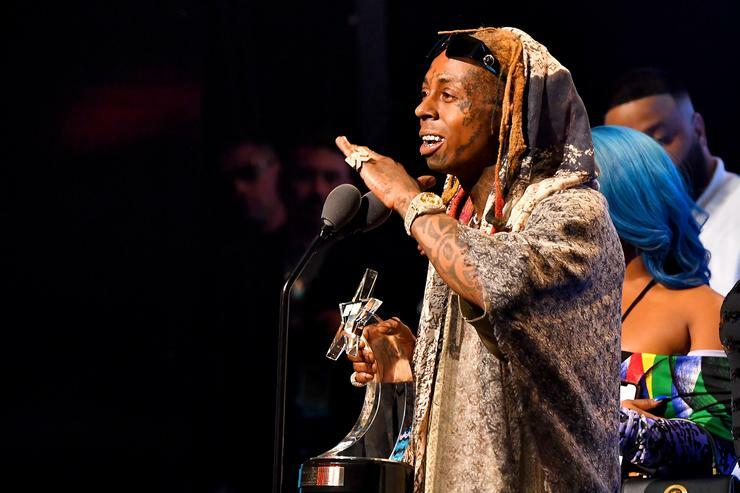 Lil Wayne took to Twitter as soon as he was safe to send positive light towards a rampant crowd. “Hope everyone at A3C is safe!! 🙏🏽,” he wrote. Tweets from concertgoers paint a picture of insanity though. “Everybody started ducking while Lil Wayne was onstage like someone in the crowd had a gun,” wrote one fan in the crowd. “Before the rumors come out they ain’t shoot up @A3C the fought it up,” stated another. Jewel Wicker tweeted an official statement from the event about the incident after the evacuation had taken place.